Being a life-long learner has become such a cliche phrase; however, I can't help but continue to return to those words and their true importance for educators. I am frequently asked, "What are the qualities of an effective leader in education?" Without a doubt, continued learning and modeling are necessary for any leader to support their teams and build capacity. In addition to traditional course work and being a connected educator, I continue to avidly read research and theory. Below are some of my favorite texts that I have found to support my learning and leading at different points on my journey. I hope that they energize and inspire you as well! Consider adding to my list by completing the form at the bottom of the page, and I will continue to share out. 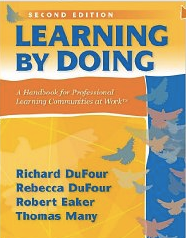 Dufour and Fullan are two of my all time favorite "rock stars," and this books brings their collective thinking on Professional Learning Communities (PLCs) and Systems thinking together. 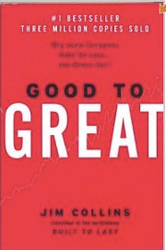 As I read this book, it was easy to make connections to the work I have been engaged in with my team over the course of the past year. We have been working toward building and supporting a strong professional learning community for several years, but were missing the important connections to systems thinking for improvement. This missing connection became very clear as we began to develop our strategic plan and communications plan. 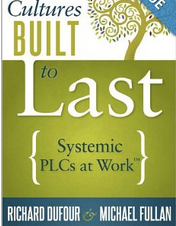 Dufour and Fullan encourage thinking about PLC from a systems approach, asking tough questions, including are you being led by the "wrong drivers?" I will be reading this book over and over with my team as we collaborate on improving our PLC and create "Cultures Built to Last." 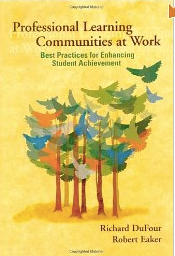 I found this book an inspiring and energizing tool to support us as we continue this important work! Michael Fullan explains the need to connect technology to pedagogy. He reinforces the notion that pedagogy must come first and that technology is most effective when it is carefully selected to meet the stated objectives. Fullan stresses pedagogy steeped in higher order thinking skills and emphasizes change knowledge to advance improvements in education. I found this book to be particularly helpful as I work with my teams to develop curriculum aligned to the Common Core State Standards. It was important to me to stress that research-based instructional practices, higher-order thinking skills, and the technology to support those goals and objectives need to be interwoven. Technology for the sake of technology will definitely foster limited change or improvements in the classroom. Years ago I had the opportunity to hear Alan November speak at a Breaking Ranks Conference on High School Reform in Bristol, RI. I was a brand new teacher in the early nineties, and I was awe struck from the minute the Key Note began. At the time, technology integration was only in its infancy; however, Alan November stressed the importance of problem based learning and digital integration even then. 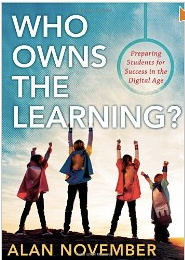 This book, through real examples, provides great insight into how student engagement and ownership of their learning is critical for each and every learner. I find that the practical and real examples from teachers all over the country, make this text an important share as we begin to increase problem based learning, student engagement, and student ownership of their learning in our district. 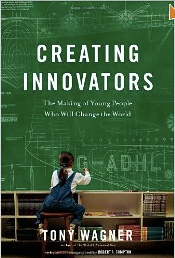 I am in the process of reading Creating Innovators. I own the Kindle version, and the publication itself is completely interactive with embedded videos and live links to the resources and experts interviewed by Tony Wagner, as well as his own video talking points. 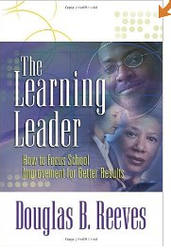 As I am reading this text, I am noting changes that I can make and or help support as an educational leader. At the same time, I am grappling with questions and hoping to find the answers. It is critical that we continue to focus and celebrate creativity, innovation, and critical thinking in our students. How do we best find balance with too many competing demands on our teachers and students? How do we inspire, challenge, engage, and celebrate students to be innovators? How do we inspire, challenge, and prepare our teachers to be innovators? If "play, passion, and purpose...are the forces that drive young innovators," how do we guarantee them for all at home and at school? (Tony Wagner.com). 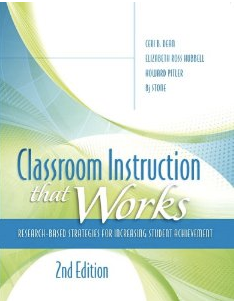 I originally read Marzano's Classroom Instruction that Works in 2001, and was excited to see this updated version that brings the connects the teaching strategies with 21st Century Skills. The organization of this text and the planning guides make it a perfect match for our PLCs. In addition, by focusing on the 9 teaching strategies that have the greatest effect size on student achievement, I was able to create a useful Google Form for teachers to use when conducting peer evaluations that was both easily understood and valued. 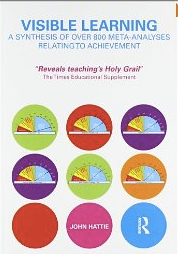 "Hattie’s book gives an evidence based answer to the question ‘What works best for students’ achievement?’...Visible Learning is nothing less than a synthesis of more than 50.000 studies covering more than 80 million pupils. Hattie uses the statistical measure effect size to compare the impact of many influences on students’ achievement, e.g. class size, holidays, feedback, and learning strategies" (Visible Learning). 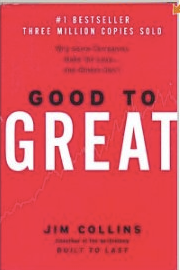 Although I read this book several years ago, I revisit in on a regular basis. My next steps include reading Visible Learning for Teachers. 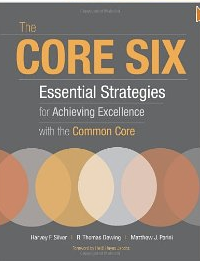 I have been using The Core Six as a book study with my PLCs. I like the straightforward way that the text illustrates how to implement the instructional strategies aligned to the CCSS and why it is important to do so. Here is a link to our Google Doc. You will find a helpful webinar within the Google Doc as well . A rationale for using each strategy to address the goals of the Common Core. Research that supports the use of each strategy. Steps for implementing each strategy in the classroom. Sample lessons in multiple grade levels and subjects. Planning considerations to make certain your use of the strategy helps students become better at reading, understanding, using, and communicating rigorous texts" (ASCD.org). I had the opportunity to hear Frederick Hess speak about his text, Cage Busting Leadership, this spring at the Rhode Island Association of School Committees annual meeting. Hess spoke of what it truly takes to make transformational change as well as what most consider obstacles to that change. Hess argues that many of the obstacles that we believe are in the way of change, such as policies, are not insurmountable and true transformational change is possible. 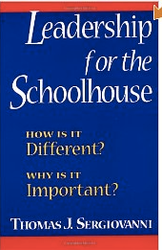 I found that this text and Hess' message challenged my thinking and reminded me of one of the norms developed by a colleague, "focus on opportunities not obstacles." "Rick Hess aptly describes his aims at the start of this provocative book: "I believe that two things are true. It is true, as would-be reformers often argue, that statutes, policies, rules, regulations, contracts, and case law make it tougher than it should be for school and system leaders to drive improvement and, well, lead. 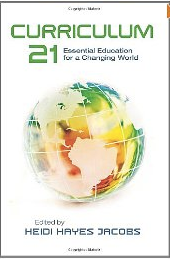 However, it is also the case that leaders have far more freedom to transform, reimagine, and invigorate teaching, learning, and schooling than is widely believed” (Harvard Education Press). 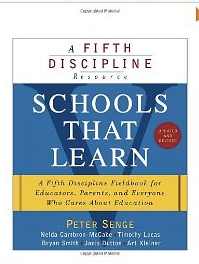 I first read Peter Senge's Schools That Learn during my M.Ed. in Educational Leadership, and it became one of the few books that I kept close by during my first years as an administrator. 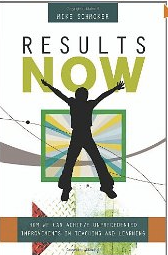 I was very excited to learn about this updated version that places emphasis on systems thinking for school improvement. As we engage in the work of our new strategic plan and immerse ourselves in understanding systems thinking for school improvement, I am certain that this edition will also be an essential resource. 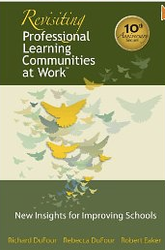 "A new edition of the groundbreaking book that brings organizational learning and systems thinking into classrooms and schools, showing how to keep our nation’s educational system competitive in today’s world" (Schools that Learn). I have recently been reading Michael Fullan's newest releases as well as re-visiting some of his works that I have read in the past. In district we are deeply engaged in the work of redefining and strengthening our PLCs. 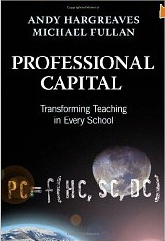 We have identified with the priorities highlighted by Fullan: pedagogy, technology, and systems change. The reports below will continue to frame our work and our thinking. 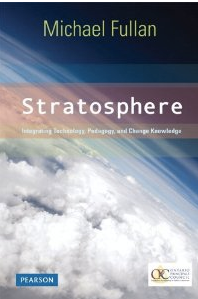 New Pedagogies for Deep Learning co-authored by Michael Fullan and Maria Langworthy. 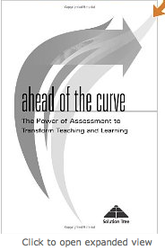 "Fullan's observations of changing roles for students, teachers and leaders characterize what he'd like to see more of when it comes to the implementation of digital innovations--innovations that succeed in three key areas - pedagogy, technology and system change (Carrie Schneider via Edweek 29 July 2013).